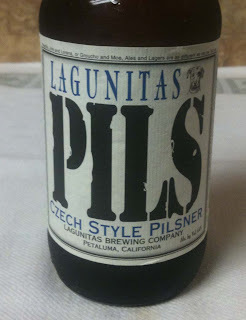 Today's beer is the Pils, Czech Style Pilsner, from Lagunitas Brewing Company. 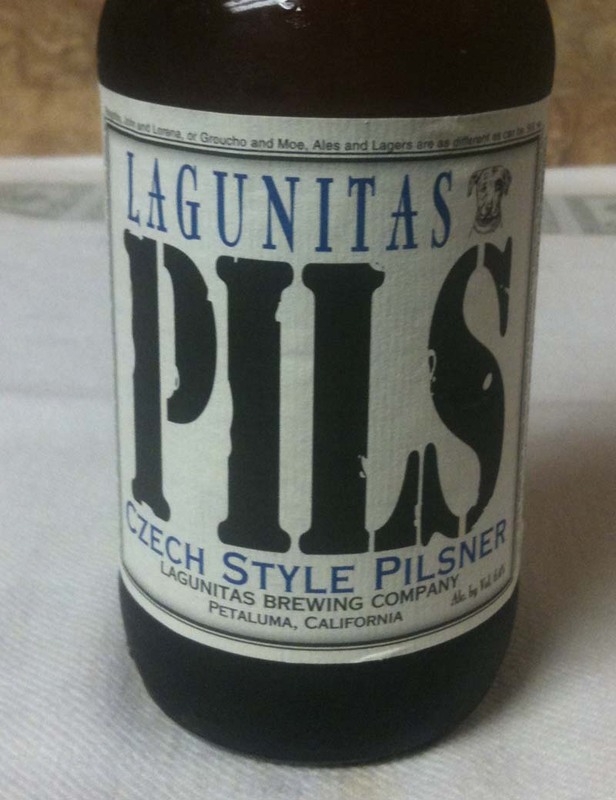 6.4% ABV is listed on the twelve ounce bottle. 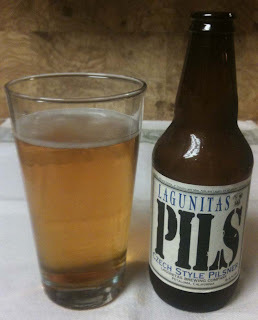 Pils poured with a small, bone colored head. Beer color is a bright golden yellow. Milder aroma, with some yeast and sweet fruit, maybe a little honey. Creamy, malty mouth feel. Medium bodied. Malt is dominant, with a nice mild bitterness in the background to keep it from getting boring. A little sweetness. Also some herbal and grassy notes. The aftertaste leaves you with the bitter/sour note that was present throughout the taste.